It was held that Department shall not initiate penal action against the assessee for not filing the return and payment of taxes as the assessee was unable to file the returns and pay the taxes for technical issues relating to migration. A combined reading of Sections 129 and 130, especially the provision contained in sub section (6) of Section 129 indicates that the detention of the goods is contemplated under the statutes only when it is suspected that the goods are liable to confiscation. This aspect is seen clarified by the Central Board of Excise and Customs in the FAQs published by them on 31.3.2017 also. Section 130 dealing with the confiscation of goods indicates beyond doubt that the confiscation of goods is contemplated under the statutes only when a taxable supply is made otherwise than in accordance with the provisions contained in the statutes and the Rules made there under with the intent to evade payment of tax. If that be so, mere infraction of the procedural Rules like Rules 55 and 138 of the State GST Rules cannot result in detention of goods, though they may result in imposition of penalty. In other words, detention of goods merely for infraction of the procedural Rules in transactions which do not amount to taxable supply, is without jurisdiction. 1. Petitioner is a public limited company engaged in the establishment and maintenance of towers for telecom service providers. 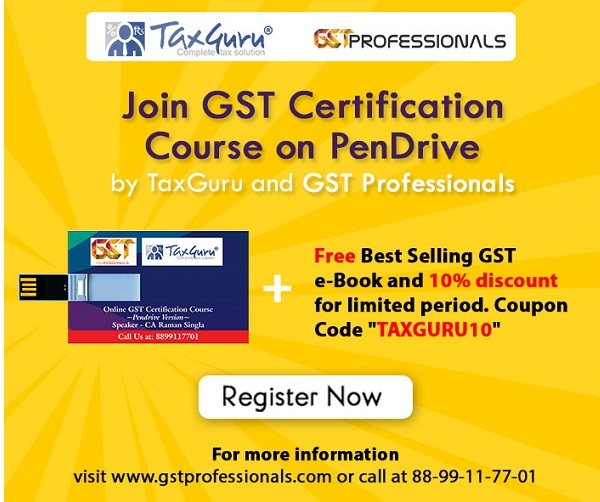 They are registered under the Central Goods and Services Tax Act (the CGST Act) and the Kerala State Goods and Services Tax Act (the SGST Act). 2. It is stated by the petitioner that the materials procured by them for their use at the various tower locations in the State are being stored at their warehouses and the same will be transported to the various tower locations as and when required. On 7.12.2017, in terms of Ext.P1 GST tax invoice, the petitioner procured the batteries required for their various tower locations including Gandhi Nagar in Ernakuam District and Ambalappuzha in Alappuzha District. As the said transaction was an interstate purchase, the goods suffered the tax payable in terms of Integrated Goods and Services Tax Act (the IGST Act). On 20.12.2017, the petitioner transported the batteries covered by Ext.P1 GST tax invoice intended for the tower locations referred to above on the strength of delivery chalans. The goods transported by the petitioner were intercepted by the first respondent and the petitioner was issued Ext.P3 notice of detention under Section 129 of the CGST and SGST Acts, stating that the movement of goods was not declared by the petitioner as provided for under Rules 55 and 138 of the Kerala Goods and Services Tax Rules (the State GST Rules). As per Ext.P3 notice, the first respondent has called upon the petitioner to pay a sum of Rs 57,192/- towards CGST and SGST and equal amount towards penalty, treating the transaction as a taxable supply. Sub rule (3) of Rule 55 of the State GST Rules provides that where goods are being transported on a delivery chalan in lieu of invoice, the same shall be declared as specified in Rule 138 of the said Rules. Rule 138 of the State GST Rules provides that persons in charge of conveyances carrying consignment of goods, where the goods are transported on a delivery chalan, shall carry along with the goods a declaration in Form KER-1 uploaded before such transportation of goods in the Kerala Value Added Tax Information System portal (KVATIS). The essence of Ext.P3 notice, therefore, was that the goods transported by the petitioner were not accompanied by the uploaded Form KER-1 declaration. The petitioner sent Ext.P4 reply to Ext.P3 notice stating that it is on account of an inadvertent omission on the part of their employees that Form KER-1 declaration was not uploaded and that Form KER-1 declaration in respect of goods covered by the delivery chalan was uploaded immediately on receipt of Ext.P3 notice. Along with Ext.P4 reply, a copy of the uploaded declaration in Form KER-1 was also submitted by the petitioner to the first respondent. Ext.P5 is the Form KER-1 declaration uploaded by the petitioner. The explanation offered by the petitioner was not acceptable to the first respondent. The first respondent, therefore, sent Ext.P6 reply to Ext.P4 explanation stating that the Form KER-1 declaration was uploaded by the petitioner only after the detention and therefore, the same cannot be accepted as a document in terms of the requirements contained in Rules 55 and 138 of the State GST Rules. In other words, the stand taken by the first respondent in Ext.P6 communication is that the goods can be released only on payment of the tax and penalty claimed in terms of Ext.P3 notice. Ext.P3 detention notice and Ext.P6 communication issued by the first respondent are under challenge in the writ petition. 3. Heard the learned counsel for the petitioner as also the learned Government Pleader. 4. The learned counsel for the petitioner submitted that the only defect noted in the documents that accompanied the goods was absence of Form KER-1 declaration and that since Form KER-1 declaration was uploaded and made available to the first respondent immediately on receipt of notice, there is no justification for the continued detention of the goods. It was also contended by the learned counsel for the petitioner that the authenticity of the delivery chalan issued by the petitioner in the instant case is not disputed by the first respondent in Ext.P3 notice and therefore, the first respondent cannot be heard to contend that the transaction involves a taxable supply. According to the learned counsel, since the transaction does not involve a taxable supply, the goods cannot be detained invoking the power under Section 129 of the CGST and SGST Acts. 5. Per contra, the learned Government Pleader submitted that going by the provisions contained in Section 129, the goods can be detained for violation of the provisions contained in the CGST and SGST Acts as also the rules made there under. According to the learned Government Pleader, insofar as it is admitted by the petitioner that the documents accompanied the goods did not include the declaration made in Form KER-1, it cannot be contended that the detention is illegal. In other words, according to the learned Government Pleader, goods can be detained even in transactions which do not involve taxable supply. (c) the activities specified in Schedule I, made or agreed to be made without a consideration; and (d) the activities to be treated as supply of goods or supply of services as referred to in Schedule II. ACTIVITIES TO BE TREATED AS SUPPLY EVEN IF MADE WITHOUT CONSIDERATION. In the light of the aforesaid provisions, there cannot be any doubt that when a taxable person transports the goods procured by them for own use to the site where the goods are to be consumed, the transaction would not involve any consideration. Such transactions would not fall within the scope of the Schedule 1 as well. As rightly pointed out by the learned counsel for the petitioner, it is seen from Ext.P3 notice that the first respondent does not dispute the genuineness of the delivery chalan. So long as the first respondent does not dispute the genuineness of the delivery chalan issued by the petitioner for transporting the goods involved, it has to be taken that the detention of the goods by the first respondent is solely for the reason that the goods did not accompany the documents required in terms of the State GST Rules. As noted above, it is on that ground, the learned Government Pleader attempted to support the detention. In other words, the present transaction would not fall within the scope of taxable supply under the statutes. True, the petitioner has not uploaded the declaration in Form KER-1 before the goods were transported and as such, the transportation of the goods was not in accordance with Rules 55 and 138 of the State GST Rules. The question, therefore, is as to whether the detention as provided for under Section 129 of the statutes was justified merely for non compliance of Rules 55 and 138 of the State GST rules. “129. Detention, seizure and release of goods and conveyances in transit. (c) upon furnishing a security equivalent to the amount payable under clause (a) or clause (b) in such form and manner as may be prescribed: Provided that no such goods or conveyance shall be detained or seized without serving an order of detention or seizure on the person transporting the goods. (v) uses any conveyance as a means of transport for carriage of goods in contravention of the provisions of this Act or the rules made there under unless the owner of the conveyance proves that it was so used without the knowledge or connivance of the owner himself, his agent, if any, and the person in charge of the conveyance, then, all such goods or conveyances shall be liable to confiscation and the person shall be liable to penalty under section 122. 8. In the result, the writ petition is allowed, the impugned communications are quashed and the first respondent is directed to release the goods referred to in Ext.P3 notice forthwith.